Well-being, joy, fun: these words represent the brand Djulicious Cosmetics. The first time I had ordered brand products was in March 2015. I wanted to test these brushes which we kept saying good. 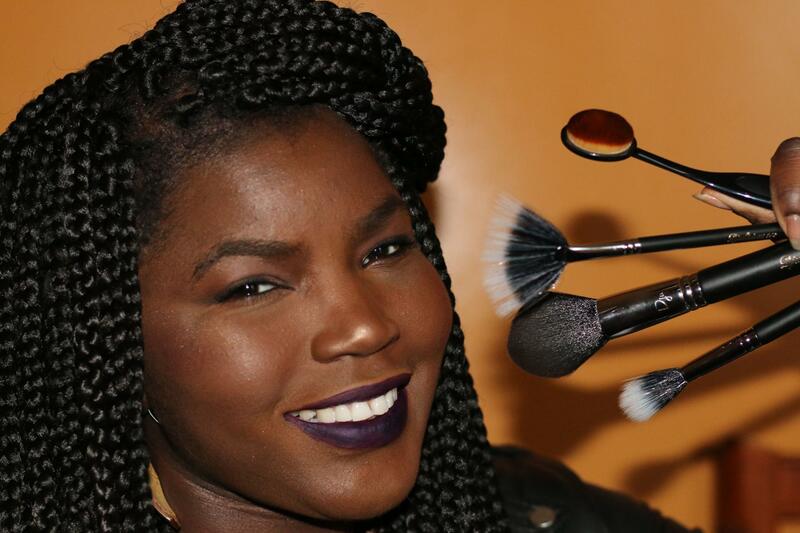 I took the brush bufferpour apply your foundation No. 516 and the brush 560 ° contouringn to perfectly trace its contouring. With the buffer brush, applying the foundation is pleasant: it is not necessary to put a lot of material to have a uniform effect on the entire face. 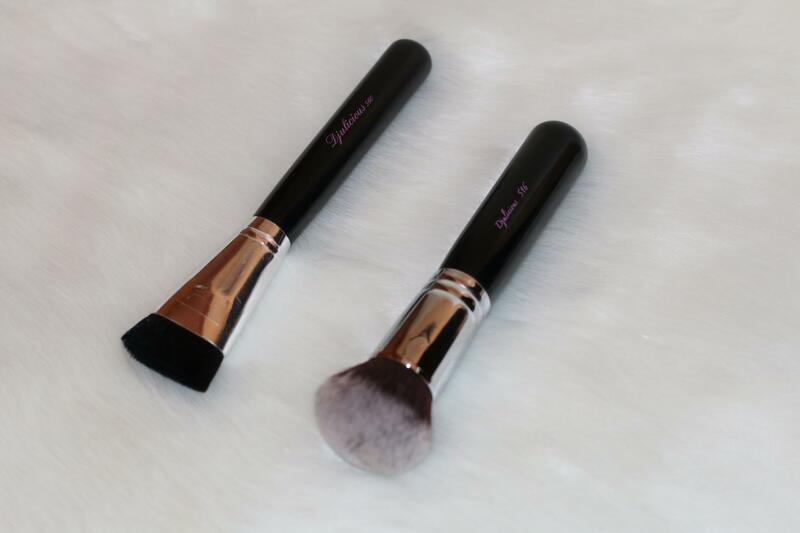 The contouringme brush makes life easier to perfectly apply my stroke contouring: with this brush, it is impossible to err in applying its product contouring and it can be used with a product in a stick or a powdery product. 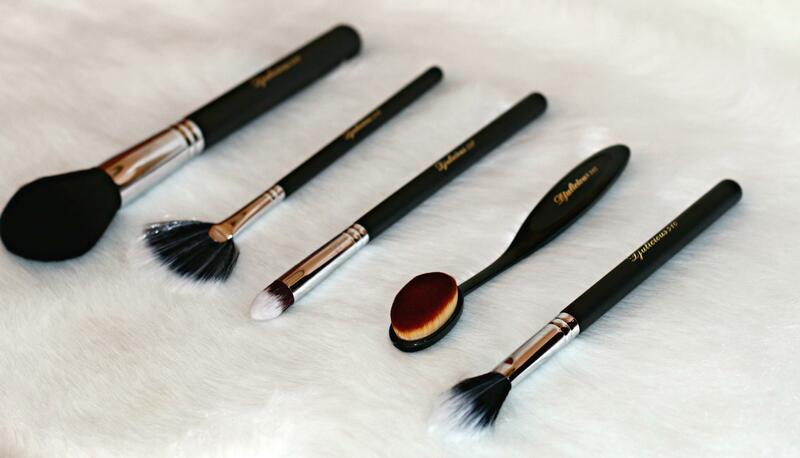 Having been satisfied with my first order, I wanted to offer me a new set of brushes Flawless Complexion: a collection composed of five brushes complexion. a duo fiber brush range No. 518 to apply her highlighter and eliminate powder residue (such as blush or eye shadow). This brush set is perfect both for collectors but also for beginners in makeup because there are tools to make her complexion perfectly without a pack effect. I wanted to get my makeup products because Julie not only makes quality brushes. I am fully satisfied of these products : the matte lipstick is comfortable, it does not dry out my lips and it is very beautiful to wear. As for the highlighter, he puts the face value and its golden color brings light: one can even use the corner of the inner eye. By cons, be careful not to put tons to avoid the effect mirror ball. The after sales service is very responsive and I’m always delivered in 48 hours maximum. 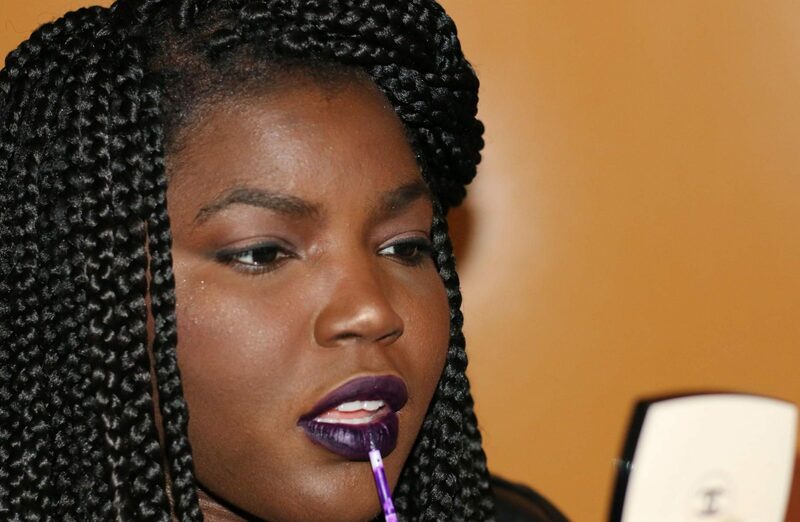 And to this day, I have not yet found negative opinions about products sold by Djulicious Cosmetics.